Pipedreams Program #9843 explored a new French-produced set of organ recordings. Listen to samples from this collection and read Michael Barone’s critical overview. Rarely has the “King of Instruments” been so richly blessed as in a recent collection of twenty-four compact disc albums issued by BMG France/RCAVictor (CD-46999/47021, plus 47945) and available in the United States through the offices of the Organ Historical Society (phone 804-353-9226). If there were any questions regarding the health of the pipe organ in this particular corner of Europe, those questions are answered here most persuasively. Instruments, performers, even recording engineers are represented at the highest standards of artistry. While the production’s overall logo, Soli Deo Veritas (the truth is God’s alone?) does not adequately address a real challenge the organ faces in reaching out beyond sacred precincts, nonetheless the two main sub-series of this exceptionally well-recorded cycle show that whether in traditional (Organa Viventia) or unusual (Organa Via) contexts, organ music is a lively, and lovely matter which cannot help but touch the heart. Though these discs are available individually, a real convenience for shoppers on a budget, the overall excellence of the collection may motivate many to acquire the entire lot. A single anthology album provides highlights from the various series venues without excessive duplication of otherwise available repertoire (CD-47021). This organ was built in 1775 by Jean-Esprit Isnard for the Basilica of La Madeleine in Saint Maximin, France. The 1990 Westenfelder organ at Church of Saint Macre in Fere-en-Tardenois, France. The Kleucker-Steinmeyer organ at the Zurich Tonehalle. And what do we get? All albums provide bilingual information about instruments, artists and repertoire, including detailed organ specifications. Many, though not all, provide artistic photographs of the instruments, too. The eighteen Organa Viventia discs offer a representative and substantial sampler of “essential” repertoire. 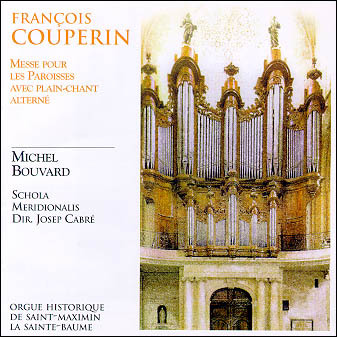 With gracious elegance, Michel Bouvard documents the two colorful and courtly Mass settings by Couperin, performed alternatum, with chant in the 18th century manner, on historic instruments by Isnard at Saint Maximin (CD-47004 LISTEN) and Mancherel at Cintegabelle (CD-47003). Francois Espinasse explores classical masters Guilain and Marchand on the French-flavored 1766 Riepp instrument at Ottobeuren Abbey (CD-47010), while contemporaries Clerambault and DuMage benefit equally from the recent restoration of the 1772 Micot organ at Saint Pons de Thomieres, played by Olivier Latry (CD-47008). Four discs are devoted to a cross-section of sacred and secular works by J.S. Bach, all played on classically-inspired, new-built instruments, by Jurgen Ahrend in Porrentruy (CD-47009) and Toulouse (CD-47000), Gerhard Grenzing in Lyon (CD-47002), and Alain Sals at Saint Benoit-sur-Loire (CD-46999). Of these, Luc Antonini’s sparkling performances at the Augustinian Church and Museum in Toulouse stand out. Also, the Six Sonatas by Bach’s second son, Carl Philip Emmanuel, played by Espinasse on the modern Westenfelder instrument in historic German manner at Fere-en-Tardenois, provide interesting stylistic counterpoints (CD-47011). Not that I should be too fussy, since all of the performers, exceptional “young” talents mostly in their early to mid thirties, acquit themselves admirably. Indeed, Olivier Latry’s recital of 19th century works on the restored main organ at Notre Dame Cathedral (CD-47013) demonstrates vividly why this remarkable man was chosen for this prestigious Parisian post when he was all of 23 (back in 1985). A companion disc by Latry, devoted to Notre Dame-related composers (Raqeute, Calviere, Daquin, etc.) from the 17th and 18th centuries (CD-47012 LISTEN) celebrates another recent, and less controversial, restoration of the miraculously preserved 1791 Clicquot organ in Poitiers, a perfect analog to the sound one would have heard at Notre Dame before Cavaillé-Coll’s 1868 conversion. Latry also illuminates the “complete works” by Robert Schumann. . .etudes, fugues and sketches originally for pedal-piano. . .on the 1855 Cavaillé-Coll organ in Saint Omer (CD-47945). Olivier Latry, organist of Notre Dame Cathedral, Paris, who also plays the Clicquot instrument at Saint Peter’s Cathedral, Poitiers. Yves Castagnet, titulaire of the Choir Organ at Notre Dame Cathedral, Paris. Yves Castagnet, one of the other Notre Dame organists (titular of the cathedral’s Merklin-Boisseau choir instrument), is no slouch, as his delicious program of 18th and 20th century music for flute and organ, with Jocelyn Daubigney (CD-47017) proves. Felicitous, too, is Castagnet’s traversal of the Six Sonatas by Mendelssohn on Alfred Kern’s 1976 miracle at the Church of Saint Martin in Masevaux (CD-47005 LISTEN). . .Sonata No. 5 is my all-time favorite here. . .and his powerful performances of symphonic works by Dupré (CD-47006) and Vierne (CD-47007) on the “Michelangelo of Organs”, the Cavaillé-Coll masterpiece from 1890 at Saint Ouen in Rouen, France are filled with awe and grandeur. 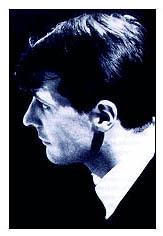 From the south of France, Jean-Pierre Lecauday felicitously fingers the half-dozen works by which Maurice Duruflé will be immortalized on the eclectic 1983 Pascal Quoirin instrument at Saint Remy-en-Provence (CD-47014). At the Basilica of Daurade, the transitional instrument from 1864 by Poirier and Lieberknecht blends classical and romantic colors. On it, Luc Antonini, from Avignon, provides yet another complete survey, of the works of Johannes Brahms, for whom the organ was interesting both very early and very late in life (CD-47001 LISTEN). Venturing onto less-well-trodden byways, five discs in the Organa Via series explore a somewhat different experience. 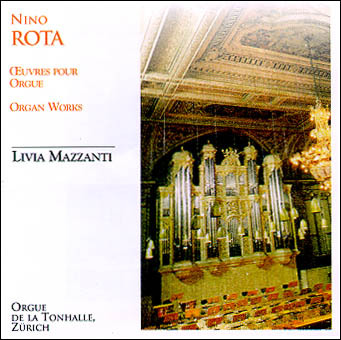 Italian recitalist Livia Mazzanti, the one non-French collaborator here who won her inclusion as a scholarship student at the Schola Cantorum in Paris, ventured to the Tonhalle in Zurich to record a provocative yet delightful program of music by celebrated film composer Nino Rota. Rota takes the pipe organ seriously, but not too. Check out his Circus March, the Casanova Prelude, and some ambitious Variations on the Name of Bach (CD-47016 LISTEN). Companion to the Daubigney/Castagnet flute-and-organ album (mentioned above), with its works by Handel, Telemann, Alain, Bartok and Hermann Schroeder, is an equally savory collection of trumpet-and-organ pieces by Eben, Rivier, Planel, Schmidt, Raynaud and Zanettovich). . .none written earlier than 1973, but all of them powerfully poetic. Trumpeter Pascal Clarhaut possesses a sure and inviting tone, and Viviane Loriaut provides harmonious accompaniment (CD-47018). Kleucker-Steinmeyer instrument at the Zurich Tonehalle. 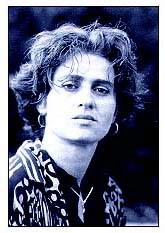 In fact, it is Ms. Loriaut whose several discs venture most imaginatively towards fringe areas, such as a miscellany of antique pieces from Austria, Italy and Spain (by Erbach, Frescobaldi, Cavanilles and Correa) woven amidst rustic and vigorously intoned polyphonic sacred songs from Corsica (CD-47019), or a mix of characterful “Mediterranean” musics by Scarlatti, Zipoli, Soler, Eslava and Padre Davide da Bergamo (CD-47015 LISTEN), all realized on a bright-toned one-manual Tronci organ from 1885 in the Corsican village of Rogliano, here recorded for the first time. Finally, a half-price package, titled Nouvelles Couleurs de l’Orgue (2CD-47020) offers several unique tracks but otherwise is basically an excerpts sampler from the cycle as a whole. Cautious buyers might take the “taste test” here first, but why risk losing time in accumulating the entire series? While some of this material appeared briefly on the French Sony label, now in its expanded form it is available uniquely from BMG France (and OHS) at a special reduced price. You won’t be disappointed. Imported organ recordings such as these are often difficult to obtain in local record stores. This entire series is available through the offices of the Organ Historical Society (www.organsociety.org). The opening Kyrie (with chant) from Couperin’s Mass for the Parishes played by Michel Bouvard at Saint Maximin. The first movement from Mendelssohn’s Sonata No. 5, played by Yves Castagnet on the 1976 Alfred Kern organ at Saint Martin’s Church in Masevaux. The finale from Carl Philip Emmanuel Bach’s Sonata No. 1, played by Francois Espinasse at Fere-en-Tardenois. A movement from Daquin’s Noel No. 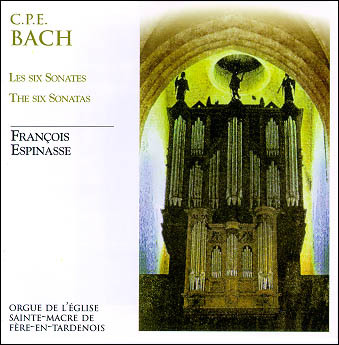 6, played on the historic 1791 Francois Henri Clicquot organ at Saint Peter’s Cathedral in Poitiers by Olivier Latry. Nino Rota’s Circus March, played by Livia Mazzanti on the Kleucker-Steinmeyer organ at the Zurich Tonehalle. Viviane Loriaut plays a Sonata by Scarlatti, using little bells which are part of the 1885 Filippo Tronci organ in the Corsican village church at Rogliano.